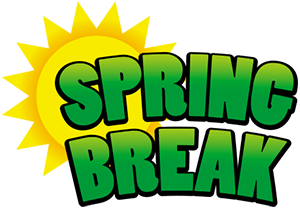 Spring break begins March 25, 2019. Classes resume on April 1, 2019. We are quickly approaching the end of the end of the school year. Our data team recommends that teachers and parents review skills with our students. We are asking for your help. Please review identifying all uppercase and lowercase letters. Review the sounds that letters make. Ask your child to identify numbers 0-10. If you child can go higher, ask him/her to identify numbers 11-20. Check to see if your child knows how to give you rhyming words. You could try saying, "What rhymes with cat?" Give your child different words and ask them to give a rhyme. Give your child a batch of items to count and see how far he or she goes. Read a story to your child and ask them to tell you where the front cover, back cover, title and author's name is located. Read the story to your child and ask them to tell you the setting, characters and retell what happened in the story. We are working on the same skills at school and our join effort will help the children remember what they are learning. If you have questions or would like suggestions on games or activities to try at home, please contact your child's teacher.